The winter months can be cold, dark and lonely. As the sun sets at 5 PM, the days appear so much shorter than they ever seemed to be. 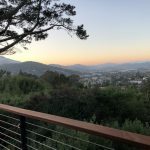 It seems like I am only out of my room for a mere couple of hours before the sun begins to set once again – a systematic myriad of short days that seem to blend together. I often times find myself hermitting in my office, staying indoors and not venturing out like I usually do during warmer months. I’m introspective, meditative and quiet – and this suits my heart and soul when the snow and temperatures are falling outside yet these winter months of quietude can often at times equal a bit of loneliness and depression. For me, being alone is restoring as people surround me all the time, but being alone too much is not good. And thus on a daily basis, I remind myself to find the light, seek out happiness and laughter to fill the dark days of winter knowing that spring and summer are just around the corner. Meditate and breathe. Quieting the mind and dropping into a still place will calm the heart and soul – it literally scrubs out dark and depressing thoughts. There is such healing in finding the still point, finding peace. Even if closing the eyes for a mere one to two minutes, and taking three slow, deep breaths will do wonders for the soul. While breathing, it is important to imagine a gold ball vibrantly illuminating the inside of your heart moving up and down your chakra centers with the movement of your breath. Listen to music. All kinds of music. I have an Amazon Alexa in almost every room of my home and therefore I find no excuse to not always have whatever music suits my mood at the moment to be playing in the background. Music is chicken soup for the soul; it feels you up and uplifts the mood especially if you are singing out loud. Just like that old bumper sticker says, sing like no one’s listening. Get out of the house, even if it means a quick trip to the grocery store. Being locked in can be soothing and calming during cold winter months, although too much time inside can be very depressing and isolating. just the act of going to and from a shop, grocery store, church, even to Starbucks to get a coffee, will elevate the mood especially since interaction with others is uplifting. So throw your hat and mittens on and roll out! 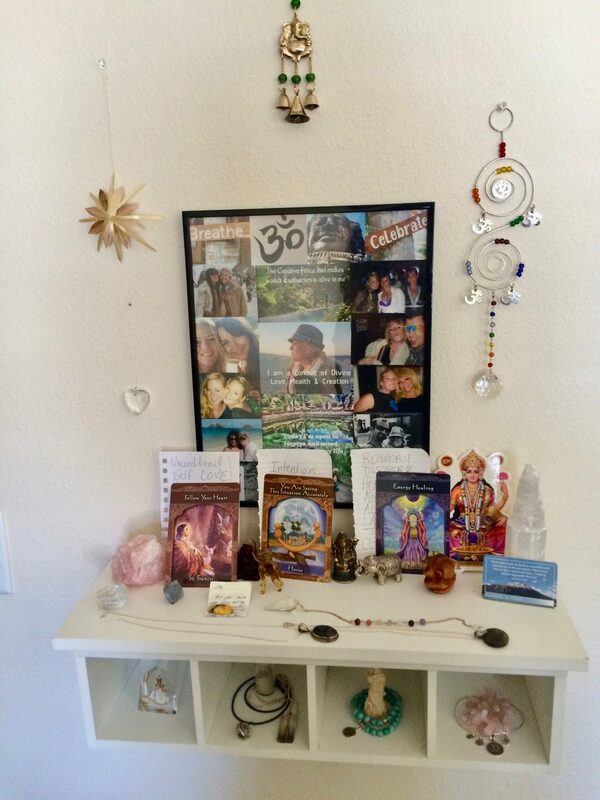 Build a small altar in your home, in a quiet space where you can breathe and meditate. Collect knickknacks, cards, jewelry, whatever entices your senses and place on the altar. I have an altar in my bedroom and in dark moments, I roll in front of it and look at all my little treasures that remind me of good times past and provide introspection for future. Burn incense, sage or Palo Santo in your home especially focusing on clearing the dark corners of bedrooms, closets, and bathrooms where dark spirits tend to hang out. In ancient tradition amongst many different cultures, the burning of such sacred plants and wood stabilizes the mood, elevates the soul and heart space and provides grounding. The smell alone of these delectable items will elevate anyone’s mood!